In today’s world of online shopping, convenience, and next day delivery, it sometimes seems as though thoughtful gift giving and keepsakes are a lost art, or a thing of the past. But for Appleton Trophy, it’s very much in the present. 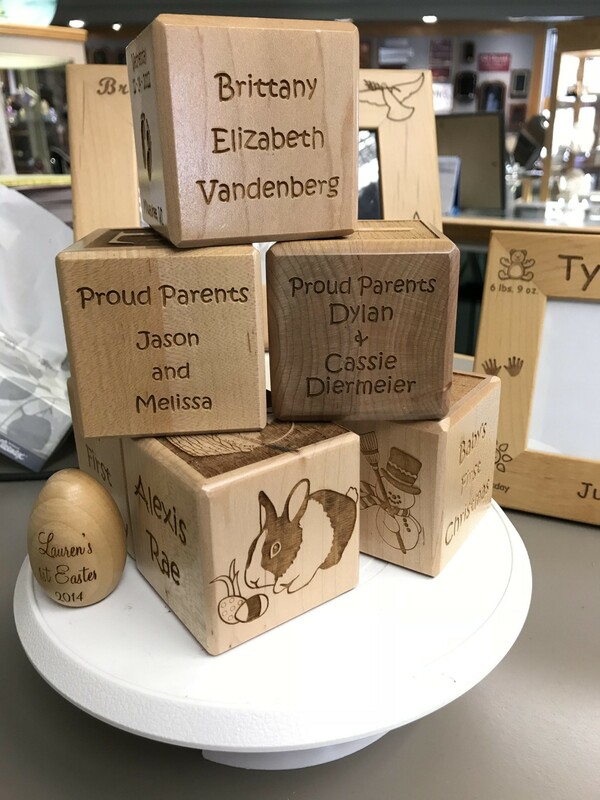 The quality of our products, paired with the thoughtful touch of personalization makes for a gift that is to be cherished for a lifetime – beginning at birth! After all, there is nothing quite like the nostalgia of looking back at old childhood favorites, baby photos, and the sharing of memories. Some things in life, no matter how easily it was ordered or how fast it was delivered, cannot be replaced. 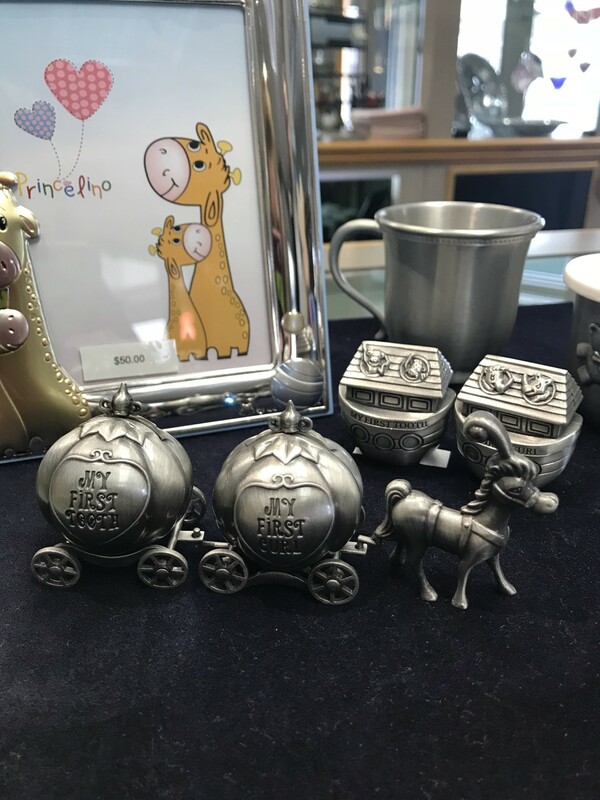 If you yourself are expecting, or have a loved one in your life who is, Appleton Trophy has a wide selection of items that are sure to become a treasured keepsake in the life of the soon to be born baby. The birthdate of one’s child is a day like no other. For the rest of one’s life, they will remember the exact moment they went into labor, the trip to the hospital, and the first time they heard their newborn baby’s cry. Commemorate this day with an engraved frame, featuring the details of this very special day (adorable baby photos not included ????). There are some things in life that you by no means want to lose or throw away, but simply cannot find a great place to store or keep safe. 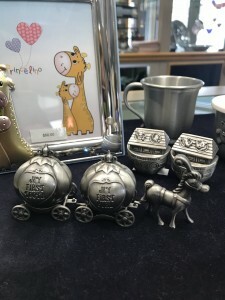 For all of these items, such as a child’s first tooth or lock of hair from their first haircut, purchase a keepsake container – such as the pewter, first tooth first curl container. 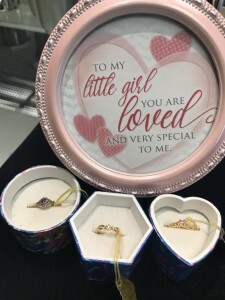 Giving jewelry to a small child is a tradition that has been carried on for centuries. Specialty items such as a baby locket or ring are often passed on from generation to generation, and even become prized family heirlooms! 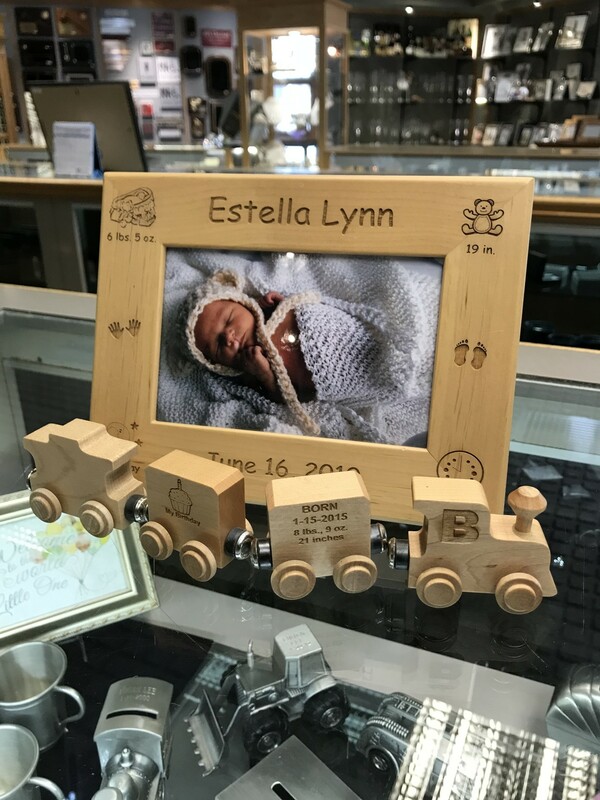 A great gift for parents, grandparents, and great grandparents, each wooden block is laser engraved with the details of the newborn’s birth. 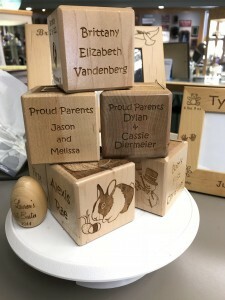 Also available for life’s many milestones, these wooden blocks make great gifts for adoptions, first birthdays, a baby’s first christmas, or baptism! Here at Appleton Trophy, we’re in the business of creating timeless pieces and helping you and your loved ones to create memories. If interested in hearing more about any of the above products, get in touch! Call us at 920-739-3569, or stop in to meet us in person. We are open Monday through Friday from 8 a.m. to 5:30 p.m., Saturdays from 9 a.m. to noon, and closed on Sundays.